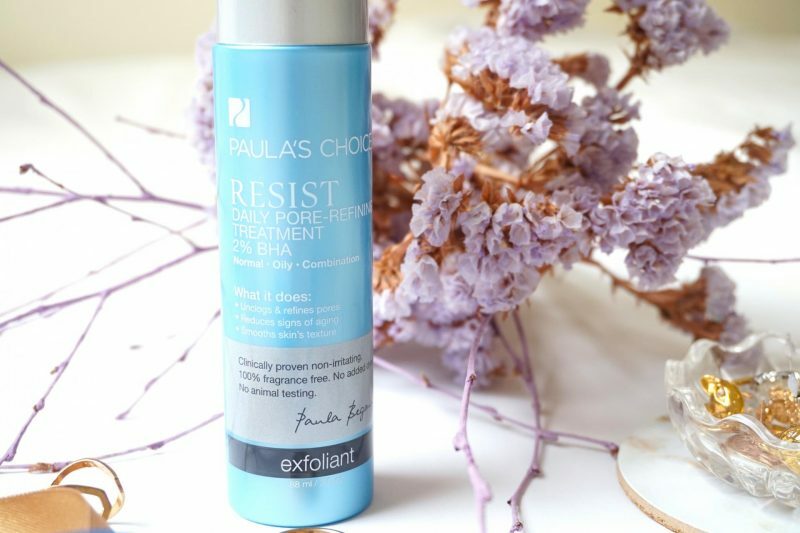 Today I will talk about Paula’s Choice Resist Daily Pore-Refining Treatment 2% BHA. As you may know my Holy Grail item is the Alpha-H Liquid Gold which is a glycolic acid product and can be used as a toner and treatment. It is basically an exfoliant with a lot of great benefits for the skin. 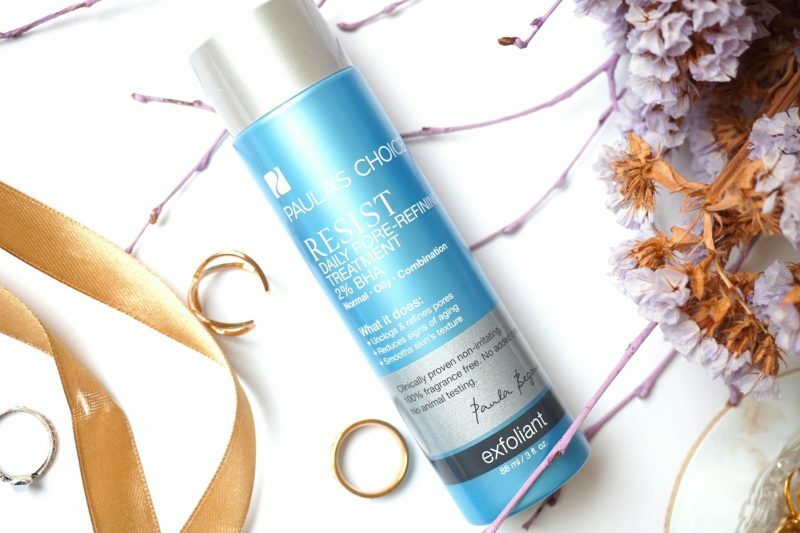 I was offered to try out one of Paula’s Choice products and I thought: why not try their famous exfoliant to see which one works better? Alpha-H vs Paula’s Choice? A fair game because I used the Liquid Gold for years now and I’ve been testing the Paula’s Choice for the last 4 months to really see its power. 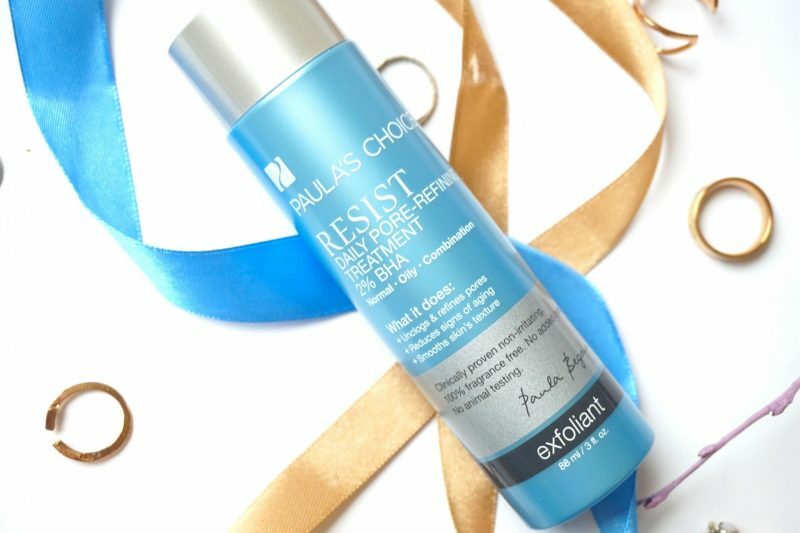 Curious which one works better and what the Paula’s Choice can do to your skin? Let’s get started! 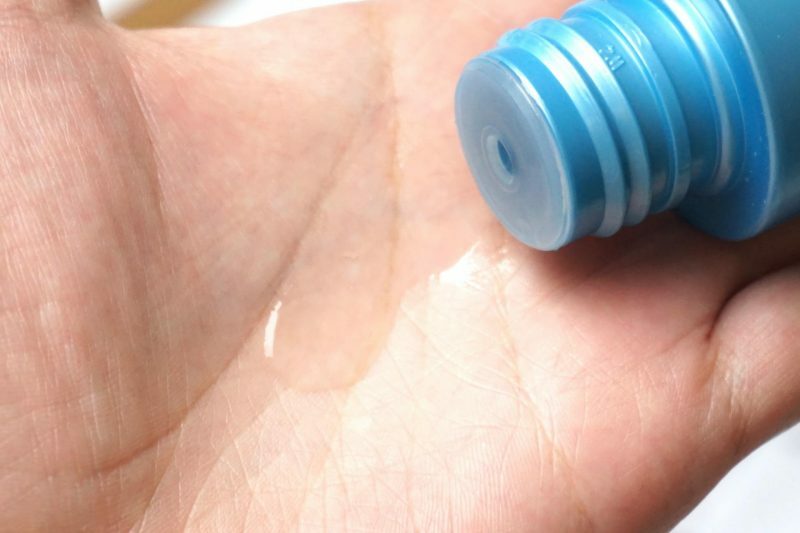 The bottle contains 88ml (weird amount) of product which can be used for at least a half-year. 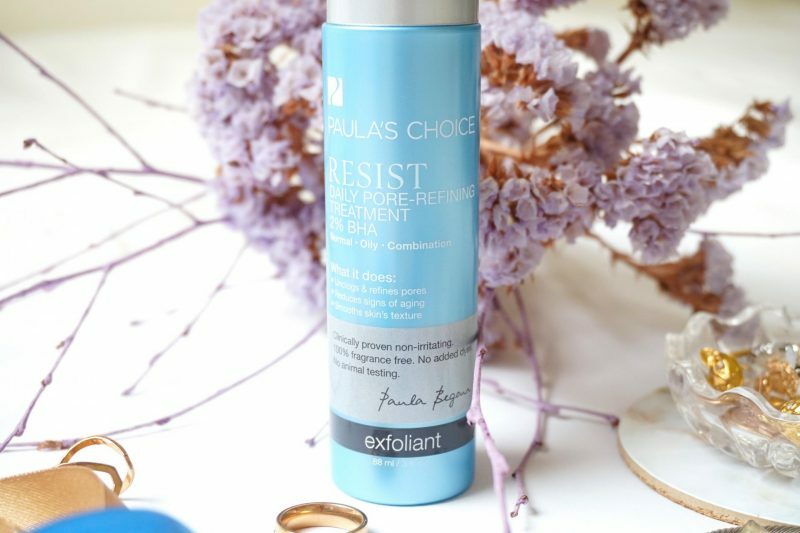 The whole range of the Paula’s Choice Exfoliant has a silver/blue packaging which are used to see to which collection they belong. I love the look of the metallic silver and blue. The bottle does feels luxurious compared to the Alpha-H which is a rubber brown plastic bottle (but you have to see their limited edition rose bottle!). Great that the bottle contains all the information to know if this will work for you or not (skintype, what it does). This treatment can be used during your toning routine: apply it on a cotton pad and swipe it along your face. Don’t rinse it but continue with your skincare routine or only use the treatment for better results. If you never used an exfoliater before this might will create a stingy feeling on the skin. The first time I used an exfoliater I had the urge to scratch my face! But you will be thankful the next day because your skin will look so much different after one use. I use the Paula’s Choice only before going to bed. When using during daytime you must never forget to apply SPF because it can damage the skin. I do use SPF everyday but I want to avoid getting any pigmentation or sun damage on the skin, beside that my dayroutine is always simple because of my oily skin. Before going to bed I first tone my face with the Klairs toner (see here for a short review) or my Kiehl’s toner (read here). 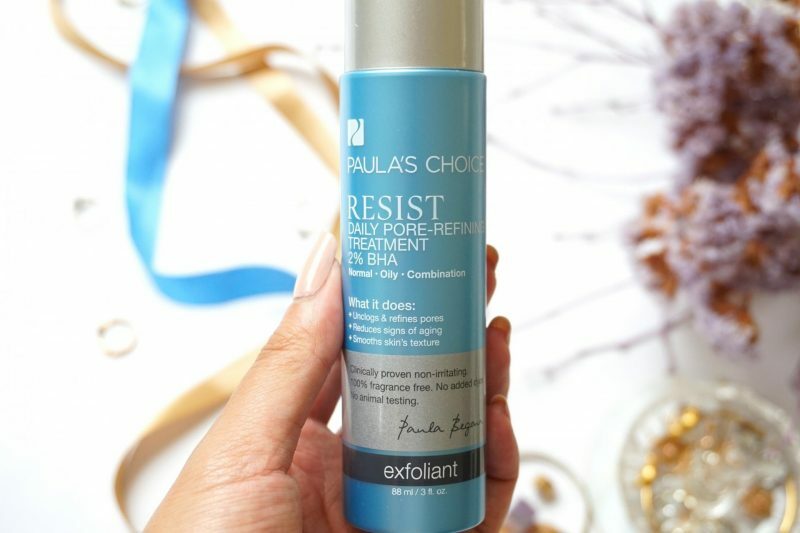 With a cotton pad I apply the Paula’s Choice all over the face in circular motions and sometimes I reply this two times to really get an intensive treatment. After this I apply some eyecream and lipblam and thats it! I don’t apply anything on top of it to really let the product work into the skin. When I wakeup up I always touch my face: it feels sooooo smooth! Sometimes I do feel some bumps because the treatment will dry out the pimples so they will appear faster on the surface. Don’t be scared, this is totally normal. Just make sure to cover them well and apply the treatment again the same day before going to bed. I will promise you that the next day the pimple will disappear. I had to explain my colleagues when they tried it out because they didn’t understand why they suddenly had pimples after the first time. Like I said, this is totally normal after the first application. Anyway, I wake up with a super soft skin and sometimes some pimples which were already there under the skin. I look into the mirror and my skintone looks more even and red spots are gone. This is how I want to wake up every morning. It looks like I has a 5 steps skincare routine but in reality it is only the treatment doing all of this! But the question is: does it works better than the Alpha-H Liquid Gold? Unfortunately the Liquid Gold stays my favorite Glycolic Acid toner but that doesn’t mean that the Paula’s Choice doesn’t work! It has the same results als the Alpha-H but it is less stronger. A skincare junkie like me is already used to these high amount of exfoliating. 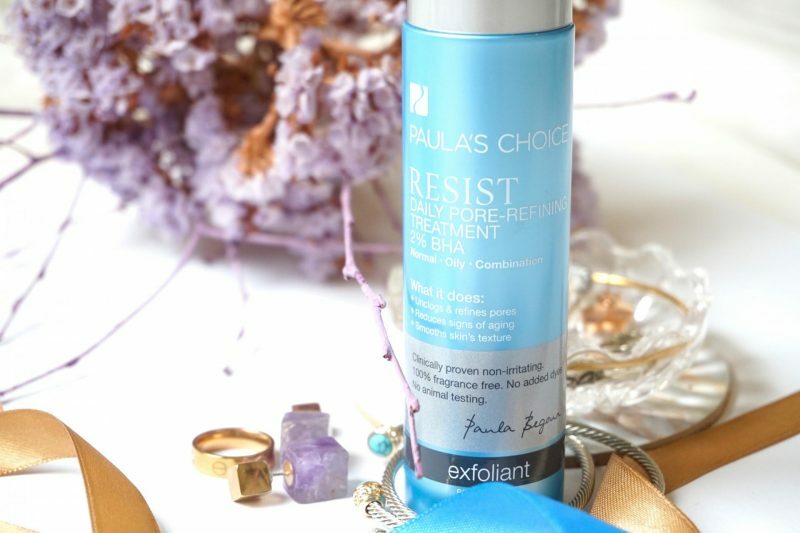 The Paula’s Choice Daily Pore-Refining Treatment 2% BHA is perfect for the people who are just starting to use exfoliating product with BHA. It is a gentle peeling which will remove the upper layer of the skin and make the pores less visible. Your body will restore the upper skin with new skin that will create a smooth and more even look on your face. Because this exfoliater is in a liquid form, the chance that your skin is going to be damaged is very low. Usually with a scrub your skin gets very sensitive afterwards but personally I never experienced something bad with these forms of exfoliaters! So are you looking for a product that will renew your skin in a gently way and make the pores less visible? Are you tired of that uneven skin texture and red spots on your face? 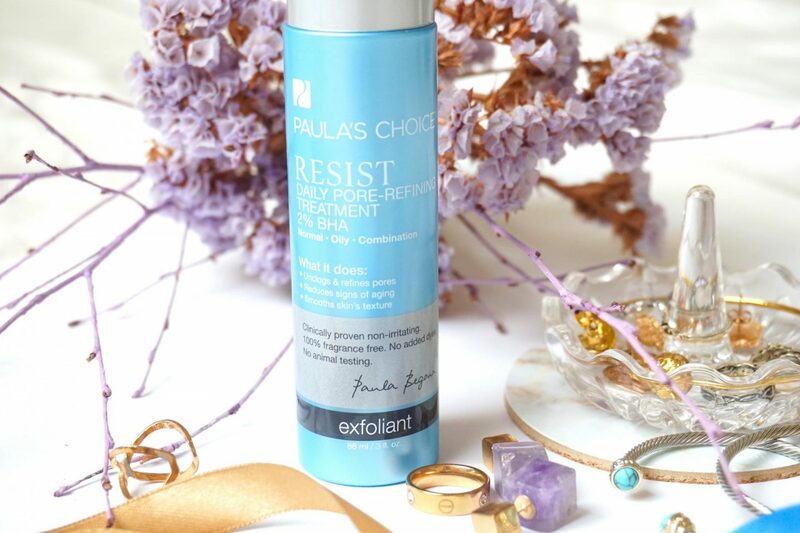 Than the Paula’s Choice Daily Pore-Refining Treatment 2% BHA is your solution! What kind of exfoliater do you use? You can get your own bottle here for €29,75 at the official Paula’s Choice website! Thank you for this review. Great to hear your thoughts on both products. I haven’t tried the PC Resist but have been curious. I too love my Alpha H Liguid Gold!